The soft colours of the base tile paired with ecclesiastical designs of the decors, which are also available in this range, provide a calm feel with an understated charm. A subtle mini-crackle effect glaze adds to the quiet beauty of the range. 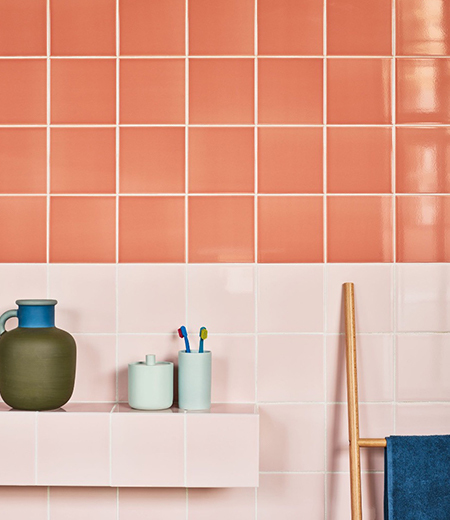 Crackle Glaze - Due to the nature of the crackle glaze finish, these tiles must be sealed. Seal with Lithofin KF Stain Stop.